There's agreement that recharging and fuel-cell refuelling networks must expand more quickly. The federal government says it still expects to release its strategy to grow Canada’s fleet of zero-emission vehicles (ZEV) by the end of the year despite provincial objections to its climate-change program. Ontario’s new Progressive Conservative government has scrapped incentives for buying battery electric or hydrogen fuel cell vehicles and joined Saskatchewan in the rebellion against a carbon tax. Alberta is withholding co-operation on the Pan-Canadian Framework on Clean Growth and Climate Change over Ottawa’s inability to deliver the Trans-Mountain pipeline expansion. The future of Quebec’s incentive program and ZEV mandate – in simple terms, automakers must meet sales quotas to avoid penalties – may also be up in the air with the election of the centre-right Coalition Avenir Québec (CAQ) government. 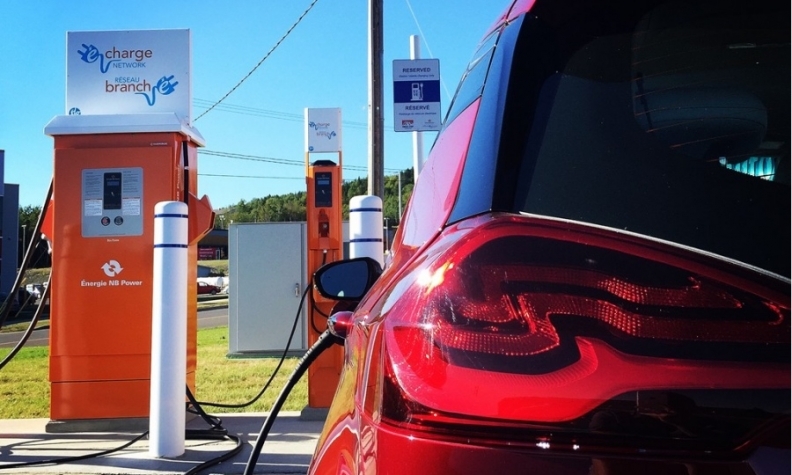 The national ZEV strategy was supposed to roll out this fall after more than a year of federal-provincial discussions and consultation with stakeholders. The erosion of a relative provincial consensus on climate policy apparently has forced Ottawa to re-canvas its provincial partners. A Transport Canada spokesman said some “breathing space” is needed but it’s hoped the ZEV strategy will still be unveiled before the end of 2018. It’s possible something could be announced at or before the annual meeting of federal and provincial/territorial transport ministers Jan. 21 in Montreal. But if Ottawa has trouble enlisting provinces, what the strategy will contain remains to be seen. The ZEV strategy is integral to the pan-Canadian framework’s target of reducing greenhouse-gas emissions to at least 30 per cent below 2005 levels by 2030. Canada has also endorsed an international goal of EVs making up 30 per cent of vehicle sales by that year. Sales of EVs in 2017 comprised about 1.5 per cent of a light vehicle market of more than two million, with this year’s trend suggesting they might top two per cent of overall sales. There’s been relative consensus on some aspects of a ZEV strategy, according to interviews with people who participated in the government’s policy review. There’s agreement that recharging and fuel-cell refuelling networks must expand more quickly, and more needs to be done to raise public awareness of EVs as a practical transportation alternative. DesRosiers Automotive Consultants’ 2018 Light Vehicle Study found 43.4 per cent of those surveyed were interested in buying an electric vehicle, up from 41.3 per cent last year. It climbs to 58.2 per cent for those under age 35. But few put their money down. Spurring dramatic ZEV sales increases over the next decade could be costly to either taxpayers, the auto sector or both. Only three provinces – British Columbia, Ontario and Quebec – were offering incentives before Ontario bailed out. A CAQ spokesman told Automotive News Canada the party was still transitioning into power and all Quebec programs are under review, including ZEV incentives and the sales mandate. British Columbia is maintaining funding for its incentive program and a it’s possible an anticipated climate action plan could include a Quebec-style ZEV mandate. Ontario’s program, which offered up to $14,000 in incentives, was popular to the point of straining its budget as sales rose, offering a glimpse of what a national program might cost. A new study estimates a national incentive program would cost Ottawa $9,000-$10,000 per vehicle or up to $48 billion if its goal was for EVs to make up 30 per cent of sales by 2030. The study, co-authored by Jonn Axsen, head of Simon Fraser University’s Sustainable Transportation Action Research Team, concluded a ZEV mandate with perhaps a two-year incentive program at the beginning could reach that goal at less cost, at least to government. But the Canadian auto sector largely opposes ZEV mandates, arguing they distort the market and force dealers to offer vehicles most buyers don’t want. Advocates have argued that sales climbed in U.S. states and other countries where mandated quotas increased EV supply. Incentives are usually part of the bargain. “I'm not sure that we'd see a national incentive but the idea has been raised about a sales tax holiday for ZEVs at a national level to buttress existing provincial rebate plans,” said David Adams, president of the Global Automakers of Canada, which speaks for import brands. Adams, who sat on the ZEV review advisory committee, observed Ottawa seemed to rule out a ZEV mandate when the policy review was announced. But Axsen, part of a committee working group, said participants were told everything was on the table. “We got a consistent message all along that all of it would be fair game and we haven’t heard anything different since then,” he said. When the political and fiscal calculations are done, Ottawa may opt to roll out a strategy with elements that already have consensus and perhaps money in existing budgets. The heavy lifting may have to wait until later, maybe after next fall’s federal election.